Do you know what you get when you cross two great friends raised in Oklahoma who have an amazing passion for helping people make their lawns as beautiful as possible? You get Greenleaf Lawn Care based right here in Tulsa, Oklahoma. 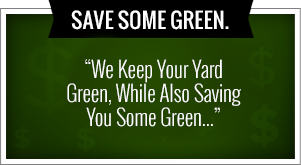 Greenleaf is the leading lawn maintenance company and Tulsa weed control company around. Their passion is to serve clients is their top priority and their current clients have chosen them because that is something that is lacking in the industry. They are able to take care of your lawn all year long without costing you an arm and a leg to do it. They can get started if you give them a call at 918-640-6405. Greenleaf’s team members are second to none in the Tulsa weed control business. Each member is fully certified spray technicians and each have received there certification from the Oklahoma Department of agriculture. Our turf enhancement engineers are more than equipped with the right chemicals and they are always wearing the proper attire that complies with all of the state regulations. We also only use the top-of-the-line spreaders and sprayers so we can always guarantee every application will leave your yard green and weed free. Greenleaf is a company that is all about exceptional service and we are very good at what we do. When we arrive at your location, we put our best foot forward before every lawn we work on. We are very economical at how we cut lawns and that doesn’t mean we cut corners but we are just very good at what we do and very fast. This gives you more time to enjoy your lawn and not be bothered with us being in your way all day long. We also offer 24 hour customer service. You can give us a call anytime 24 hours a day seven days a week. Our owners Jamie Nix and Josh Mathias have such a passion for the area that they want nothing more than to see the Tulsa area prosper, especially the school. They have already started to help the schools in the area by starting a program called “cut for the kids”. This is a program they have put together will donate five dollars for every new client they gain to the school system of your choice. Their goal is to raise $100,000 to help the Tulsa area schools to fill needs. We all know that schools don’t get the money from the government that they deserve so we wanted to find a way to help them out and supplement for things they need. 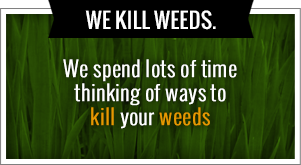 Greenleaf isn’t just the best in the area at Tulsa weed control we are also the best in many other areas as well. Some of those areas that we specifically offer services in and excel at are Spring cleanup and scalping of your lawn, small shrub removal and planting, lawn fertilization, small tree removal and planting, leaf removal, sod installation, page trimming and shaping, flower bed maintenance, weekly lawn maintenance and many other services that will make your lawn looks amazing all year long. We at Greenleaf only expect the best from our employees and that is all they should give to you as well.